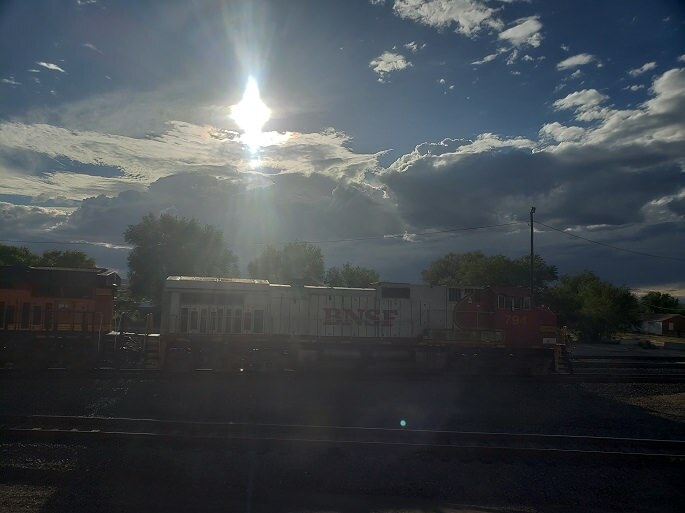 This week, I spotted one of the six red and silver BNSF locomotives. Rumor has it that there are only six of these locomotives in the entire BNSF system, so I like seeing them. The reason for the limited number of this paint scheme is that supposedly the paint scheme had not been settled upon during the merger of Burlington and Northern and Santa Fe. Six locomotives were ordered with the red and silver paint scheme, but when the were ready to ship, the merger had completed, so “BNSF” was painted on the side instead of “Santa Fe”. Soon after these locomotives, the paint scheme was changed to the orange and black that is used to this day.